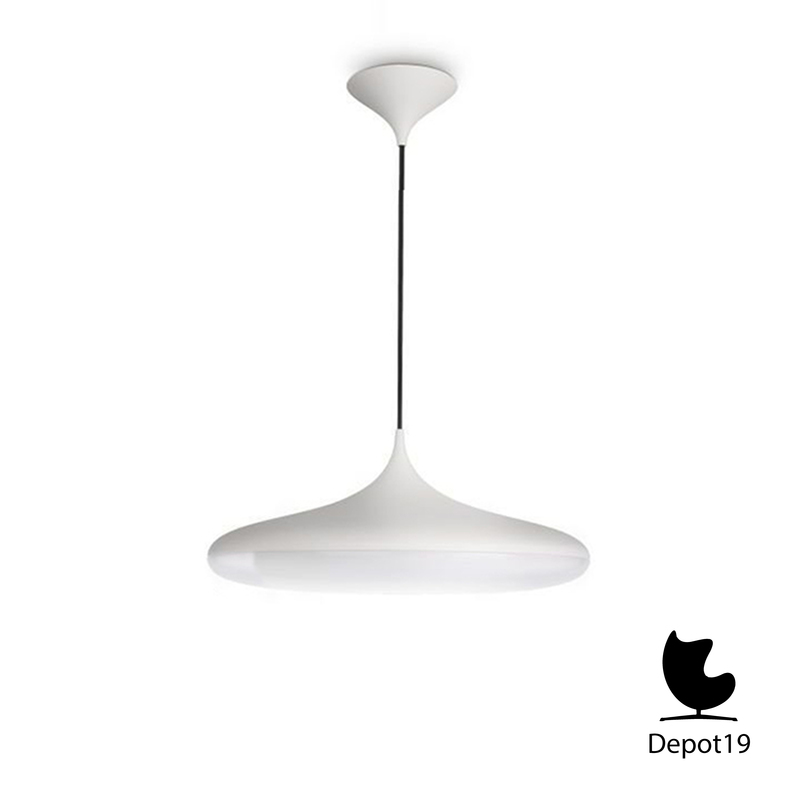 Large modern Philips pendant lamp in retro style. An energy-efficient luminaire in white plastic. Designed by the Philips design team in 2013. This lamp has won several design awards. Reddot design award, Philips Green logo, IF product design award 2013. In a very good condition.